Pâquerettes-Paris puts itself in the colors of the World Cup with the “World Cup 2018” collection and its model in the effigy of the Spanish football team. This chic pair revisits the iconic flowers of the brand by bringing an elegant side to your world cup, to make the model “Spain” the must-have accessory of the coming months. Daring the supporter chic style is now possible! 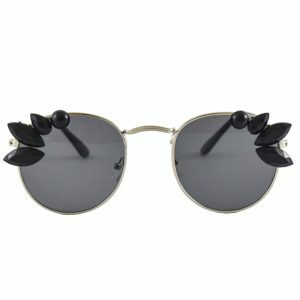 And because Pâquerettes Paris wants to take care of you, the glasses of our sunglasses have a filter of protection Category 3 (UV 400) against sun’s rays, then don’t worry anymore, be beautiful and trendy it is possible! Protect your eyes with style is our priority ! 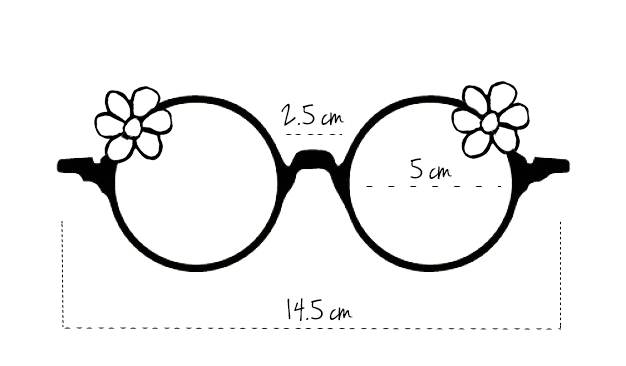 These flowery sunglasses hippie style marry perfectly to the shape of your face. The sunglasses have a category 3 of protection filter and ensures high protection against sun’s rays. The flowering Pâquerettes Paris glasses are delivered with their cover of felt, you can take them anywhere with you. ** The nose pad can be delicately adjusted to the shape of your nose and also the inclination of earpiece ***.